"The owner and staff were very friendly and helpful." Have a question for Charing Pension House? "The rooms are big for the group." "It's location is perfect as it is in the center." "The staff were friendly and accommodating to our requests." 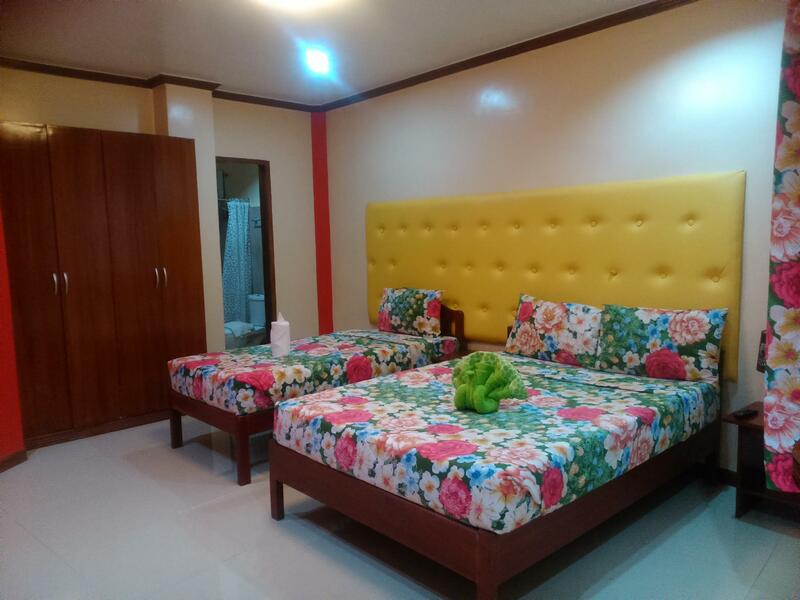 "Spacious and clean rooms, friendly and helpful personnel, do..."
Ideal for fun and relaxation, Charing Pension House is located in the Puerto Princesa area of Palawan. Only 1 km from the city center, the hotel's strategic location ensures that guests can quickly and easily reach many local points of interest. With its convenient location, the hotel offers easy access to the city's must-see destinations. 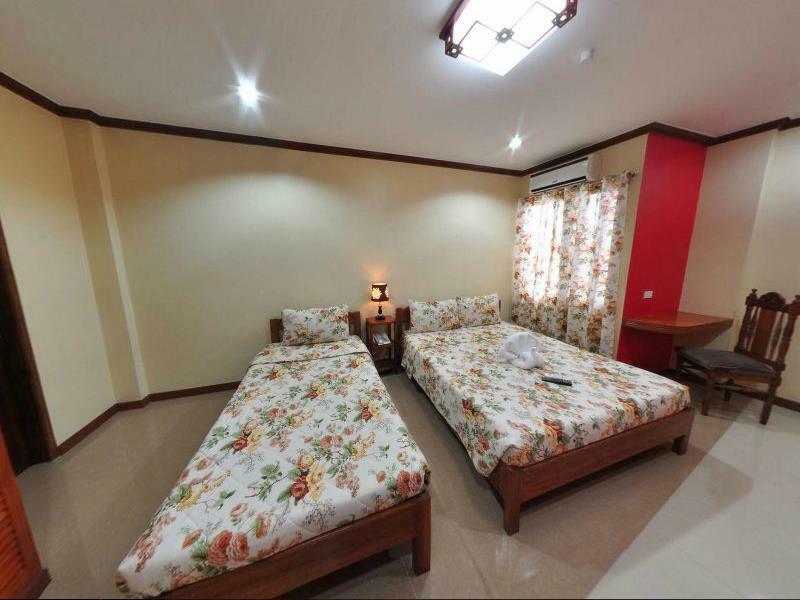 At Charing Pension House, every effort is made to make guests feel comfortable. To do so, the hotel provides the best in services and amenities. 24-hour room service, daily housekeeping, Wi-Fi in public areas, car park, room service are just a few of the facilities that set Charing Pension House apart from other hotels in the city. Step into one of 13 inviting rooms and escape the stresses of the day with a wide range of amenities such as television LCD/plasma screen, towels, closet, smoke detector, internet access – wireless (complimentary) which can be found in some rooms. The complete list of recreational facilities is available at the hotel, including garden. 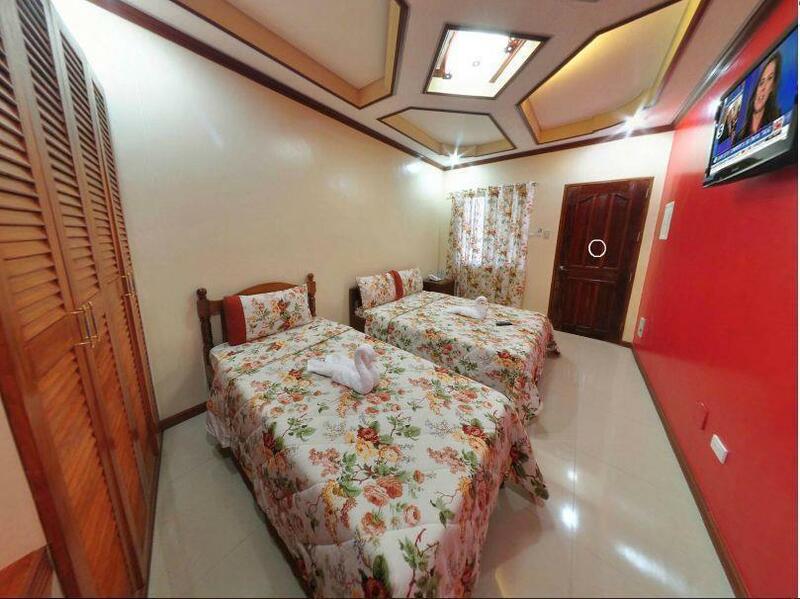 Charing Pension House is a smart choice for travelers to Palawan, offering a relaxed and hassle-free stay every time. "Overall i would say that it is a good place to stay." Free airport pick-up is available but guests need to provide complete flight arrival details at the time of booking or at least 24 hours prior to arrival. Otherwise, it is no longer guaranteed and will be subject to availability. Please note that flight arrival details (Puerto Princesa Airport) should be the same as your check-in date. Staff was very friendly and helpful, the bed was very comfy and we got really great sleep, the A/C unit was around a corner from the bed so you didn't have the cold air blowing directly on you, there was a heater for a warm shower. The wifi would keep cutting out and someone would have to get on a chair to reset the router. The included breakfast was a bit small and so-so. Instant coffee but that's normal around here. Otherwise a great stay for as great price and I would recommend this to anyone! It’s a very nice location at the hotel, coming from the centre of the city.. All in all it’s good.. Overall i would say that it is a good place to stay. It's location is perfect as it is in the center. Room size was okay, although the family room where we last stayed is very spacious. The only negative thing is the washroom as there is no proper drainage. Nevertheless, the value for money is very good. The place is worth your money. The rooms are big for the group. Recommended! This pension operates on really high level standards, I would even rank them as 2-3 star hotel. Ok, maybe they miss some requirements for that, but anyway high level. Spacious and clean rooms, friendly and helpful personnel, doing some small extra things, that made the stay memorable. Of course value exceeding the money! Thank you! Loved the Charing Pension House, it was awesome and well priced. Great Staff that made booking tours so easy. They also had a free shuttle to the airport. there is no reason why you will not come back! The place is pretty good for a night or two. Despite not even being on the main street it's still pretty noisy from the street. Wifi was good though and I guess most people only stay in Puerto Princesa for a night or two as the town really isn't very nice or has much to offer. Breakfast wan't exactly very 'western friendly' as it mainly consists of rice, meat and fish. We were able to get a dry piece of bread and an egg though. Great hotel, staff was very kind and helpful. We would definitely come back, even if it was quite noisy because of the road nearby and the door which wasn't closing properly (space between wall and door). The owner and staff were very friendly and helpful. The Charing Pension House is a nice family run business. It is simple and very clean. 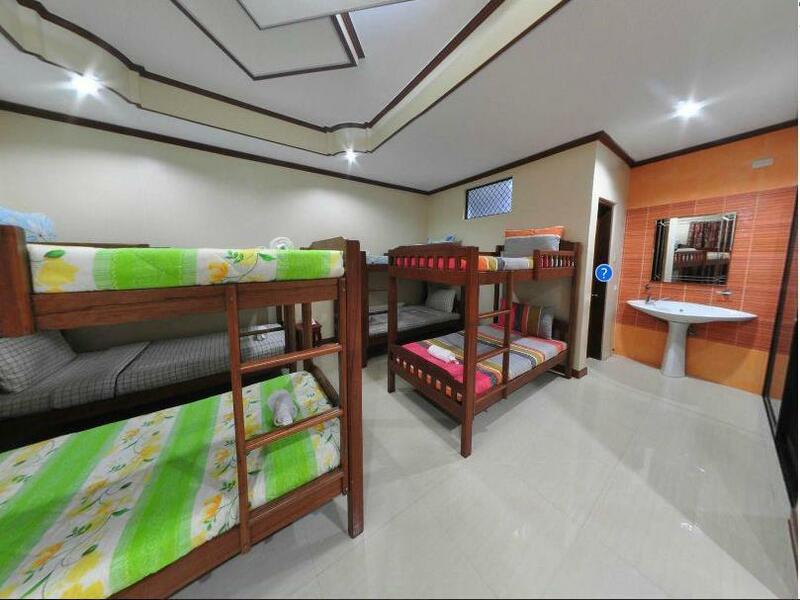 It is close (walking distance) to a suitable mall and the city's main road. I would recommend that you request a room on a higher floor. We were on the ground floor and it was noisy in the morning if you wanted to sleep in. The staff were friendly and accommodating to our requests. Helpful staff, electricity during blackout, beautiful view terrace. Stay here was wonderful: everybody is looking forward to help and assist, rooms are nice and have everything you need for comfortable stay, main street is in 10 minutes from hotel by foot. Pleasent place to stay being only a 70 pp ride by tricycle from the airport. Room was clean, shower OK and Internet worked most of the time.8 minute walk into town. Office manager not at all helpful verging on being rude but the rest of the staff were great. Breakfast not great. An awesome place. Noel, the owner, and all the staff were extremely friendly and helpful. The room and restaurant were great, an amazing value. Ended up staying twice and will definitely stay again when I return. Hard to do better than this place. It was a great 4 day stay. The staff are all accomodating and attends to all our need. They even gave us discount when we extended our stay for another 4 hours. We highly recommend this accomodation since it is within the city proper and very accessible to everything. Had a great time in Puerto Princesa thanks to this hotel! Talk to the owner when you get in, pick his brain for ideas. What started out merely as a stop turned into one of the most amazing experiences ever! We had such a pleasurable stay in this hotel. For a group of 4 the hotel's rate offers a fair good value. We stayed in the 3rd floor and it's the only level that doesn't have the wifi signal perhaps they can have that fix in the future. They have they're own food stall making it more convenient not to look for a restaurant with a great value too.